Getting ready to arrive in London in the close future and you are still thinking about airport transfers and accommodations? Than this is the right article for you, as you will find appropriate offers and recommendations. When it comes to a suitable airport, you will be pleased to know that this wonderful capital city can offer you around five great travel hubs, known on a world-wide level. One of the most accessible airports, when it comes to low cost tickets, is the famous Stansted Airport. Although it is located pretty far from Central London, there is a wide variety of accessible means of transport, suitable for every budget and interest that can take you to any district in London. You will find some of them described at the end of this article. Another important piece in this London holiday puzzle is the selection of an appropriate hotel, hostel or B&B. If you manage to find a great price for your airport tickets, than you can afford to spend a little more cash on a comfortable accommodation and simply spoil yourself. As London is filled with a great number of beautiful sights and touristic attractions, you will definitely require a relaxing staying, to eliminate all the stress that travel usually causes. 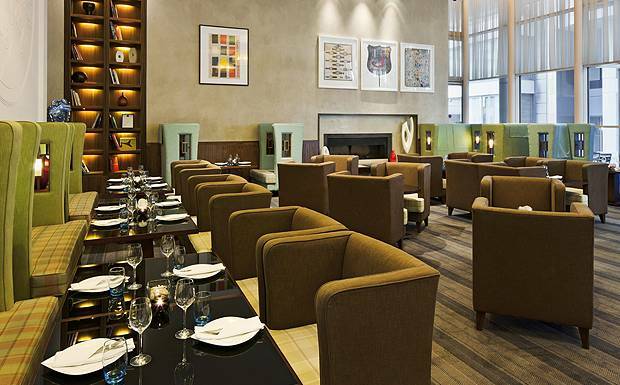 Crowne Plaza London – The City is such an example of great accommodation. It offers an elegant architecture, special club rooms and lounges, amazing restaurants (Diciannove, Voltaire Bar, etc.) and all the modern facilities. Moreover, you can book online and get special offers for romantic weekends. In order to get a Stansted to Crowne Plaza London – The City Transfer by rail, you could take the train from Stansted Airport (every 15 minutes) via Liverpool Street Underground (every 5 minutes) , followed by a 13 minute walk. This journey might take about 1 hour and 4 minutes. You can also take the bus from London Stansted Station (every 30 minutes) via Liverpool Street (every 5 minutes), followed by a 4 minute walk. This journey lasts about 1 hour and 13 minutes. A Stansted to Crowne Plaza London – The City Transfer by car can be done by taking the M11 motorway. Stansted Airport is at a 38.4 miles distance from Crowne Plaza London – The City. This journey will take about 51 minutes, without including traffic. A Stansted to Crowne Plaza London – The City Taxi Transfer with 247 Airport Transfer is going to take about 1 hour and 21 minutes, including rush hour traffic. The price for a Stansted to Crowne Plaza London – The City Taxi starts from 57 GBP.